Fire Safety Rocks: I'm Headed to New York City!!! 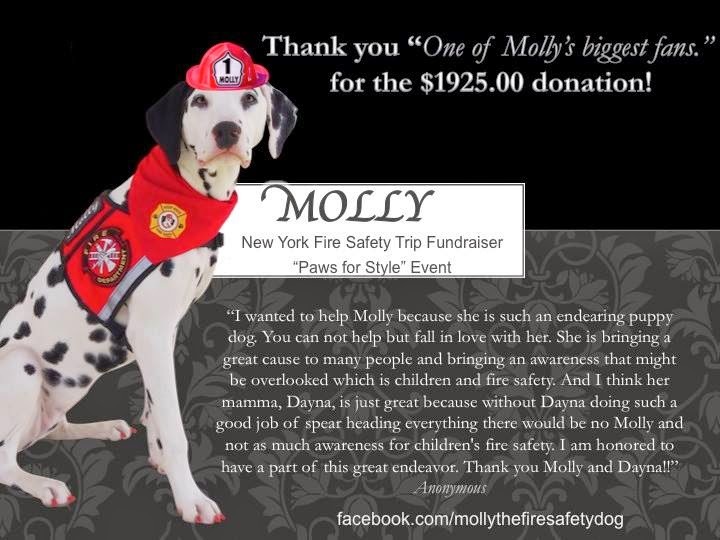 The other day we thought our dream of going to NYC to help share fire safety at the Paws for Style event were dashed and this morning we received the most wonderful gift! Thanks to an anonymous donor, we received the amount that we needed to participate in the event! Please join me in thanking them. This means SO MUCH to us in that we will be able to reach so many people with the fire safety message! Now begins the next part of our trip: raising funding for our expenses (hotel, food and gas). 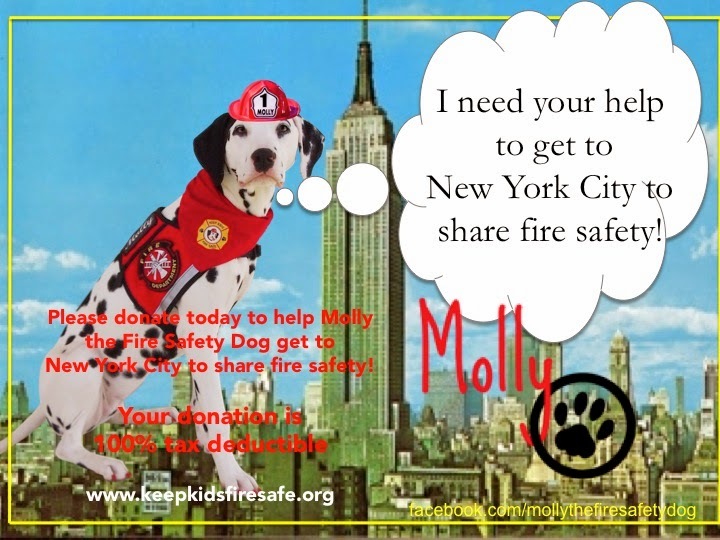 If you would like to help (no amount is to big or too small), please go to http://www.keepkidsfiresafe.org. Your donation is 100% tax deductible. I would be forever grateful! Thank you from the bottom of my heart, anonymous donor!